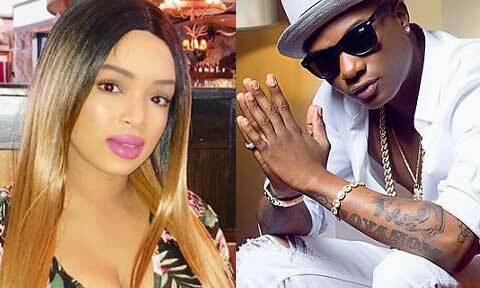 This won’t be the first time Wizkid’s second baby mama, Binta Diallo would drag the singer for filth over his constant neglect of the upkeep of their son, Ayodeji jnr but this would be the first time the Guinean descent would release evidence to that effect. 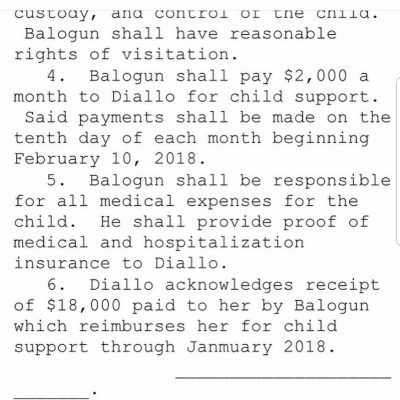 Perhaps tired of being insulted for asking her baby daddy to stand up to his responsibilities, Binta Diallo decided to release documents to prove that she hasn’t been making up stories against him. 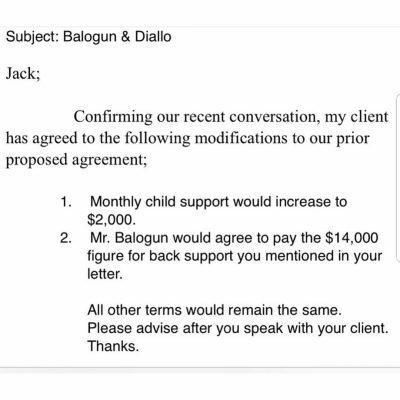 The document, an agreement they both signed, shows that Wizkid is expected to pay the sum of $2000 monthly for child support. 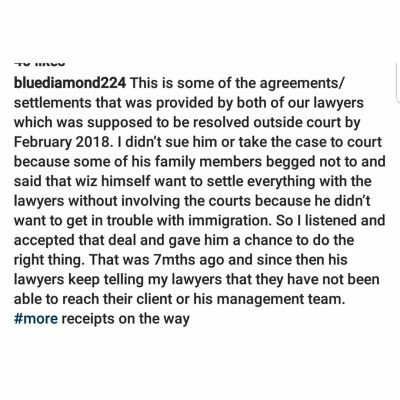 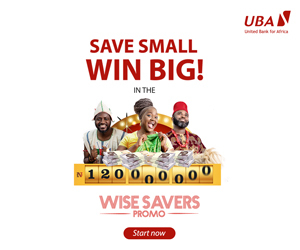 However, Binta revealed that since the agreement took effect in February 2018, Wizkid has reneged on the agreement and every move made to reach him through his lawyers have proved abortive as his legal team insists that they haven’t been able to reach him as well. 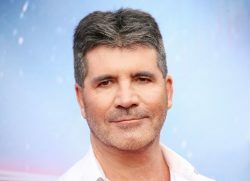 She revealed that she has refused to sue him because his family members begged her so as avoid him from having immigration issues. 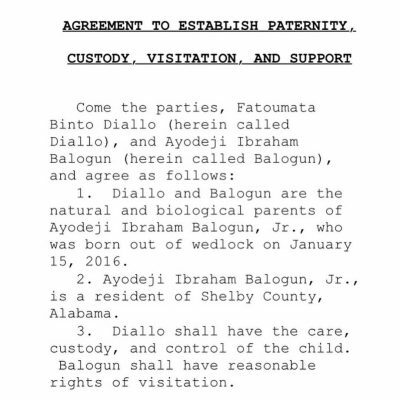 Two days before the release of the document, Binta Diallo put up a number of posts where she called out Wizkid referring to him as a deadbeat father just days shy of Wizkid’s first baby mama, Shola Ogudu calling him out as well for the same reasons. 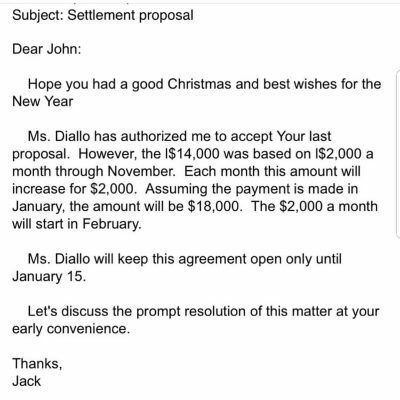 Shola made a post saying that a child’s school fees being paid by the father was non-negotiable. 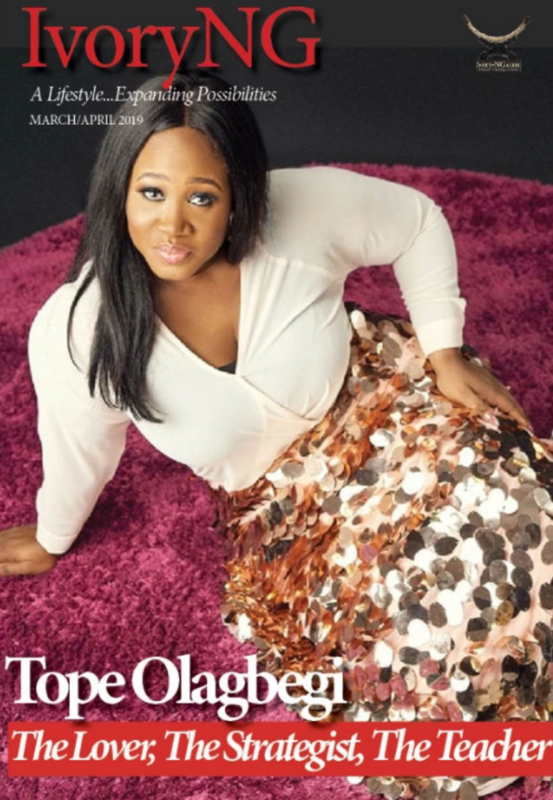 Her post was triggered by a post by Wizkid where he said he plans to build public schools in Lagos.